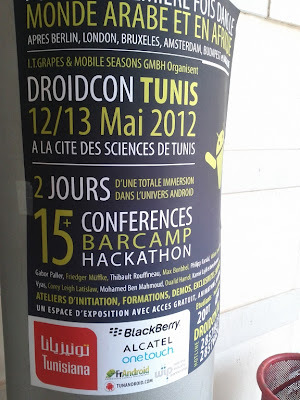 This is my Droidcon Tunis 2012 presentation. Thanks for the great audience in Tunis! My name as a Tunis landmark. I will talk about accelerometer and gyroscope sensor integration tomorrow at Droidcon Tunis.